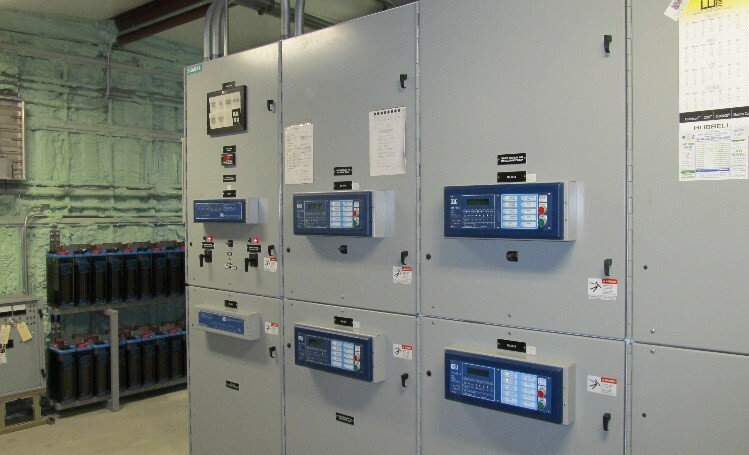 West Plains Engineering provided electrical engineering services for the design and replacement of older style electronic and electromechanical relays with new electronic SEL relays and test switches at the Emerson, Broadwater and 10th Street substations. Both differential and overcurrent relays were replaced with new relay systems for transformer protection and distribution feeders. The existing relay doors were replaced with new doors manufactured to fit the relays and test switches. Lock out relays, equipped with manual reset features, were also specified on the transformer main breaker to prevent remote closing and subsequent transformer damage without physical inspection. SCADA integration was also designed into the project concurrently.